Willich, March 2013 – In December 2012, FKuR Kunststoff GmbH was certified as one of the first bioplastic producers according to the GKV Code of Conduct. Since its inception, FKuR has attached great importance to social responsibility, not only by developing sustainable products, but also by adhering to the highest moral and ethical principles in dealing with all internal and external partners. “We see the commitment to the GKV Code of Conduct as an important step to reaffirm and spread our corporate philosophy,” explains Dr. Edmund Dolfen, Managing Director FKuR, the adherence to the Code of Conduct. Designed as a self-commitment, the GKV Code of Conduct is a voluntary agreement through which its member companies want to ensure strict compliance with global requirements for ethical and moral behavior, as well as maintain conduct compliant to antitrust laws and competence (Compliance). Also, the promotion of fair and sustainable standards in dealing with suppliers and customers along with its own corporate members is part of this commitment. The certified companies commit to environmental sustainability, to ensuring occupational health and safety at work, as well as compliance with international standards such as the UN Human Rights Charter, among others. 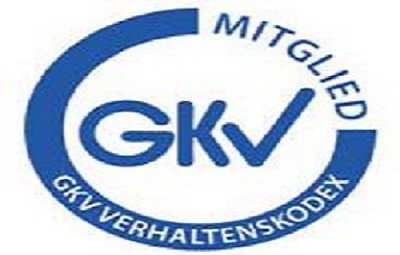 The ‘Gesamtverband Kunststoffverarbeitende Industrie (GKV)’ [General Association of Plastics Processing Industry] is the head organization of the German plastics processing industry. As an umbrella organization it articulates and represents the common interests of its supporting members and acts as a mouthpiece to politicians and the public.